Kate Blood’s grave at Riverside Cemetery is a site of interest to paranormal enthusiasts. Some say that on full moon nights, a bloodlike substance drips from the gravestone, a stone that is inexplicably warmer than the other gravestones nearby. Kate Blood, according to local legend, killed her husband and three kids. Others say this is simply untrue, that Kate died of tuberculosis, and her husband remarried. I grew up two houses from river side cemetery. There’s a lot of weird stuff that happens in that cemetery. Like devil worshippers, catacombs that run under the cemetery, the bleeding grave, and unexplained fog. This is no joke! Don’t mess around with at Riverside. If you feel compelled to go, do so during the day. The sign says it closes at sundown, that means get out of there before then. Kate Bloods grave isn’t that exciting and it’s very hard to find. 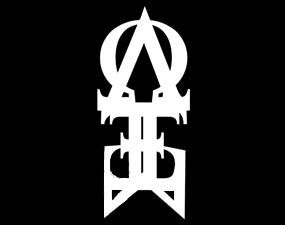 Besides that, I laughed when someone told me there was a Satanic cult that worshipped there.. I definitely wasn’t laughing after going there in the middle of the night. I won’t get too into the details, but I’ve never been so terrified or ran so fast in my life. Just stay away.. Don’t bother. Don’t risk your wellbeing. Don’t risk your sanity. I don’t want to intrude. But, I went there recently on Valentine’s Day to be exact. I went there in the middle of the night and I saw stuff too. I wanted to see if any of the stuff we saw may relate. Thanks! I went to riverside cemetery on May 21st of 2016. The reason we went on this date is because there was a full moon on that day and the gravestone allegedly bleeds, feels warmer than the other graves, and Kate bloods “ghost” might even be seen on full moons. So around 9:00-9:30ish three of my friends and I just arrived at riverside cemetery. Once we got to the gate we started walking in and noticed what looked like a women standing in the dark street that led up to the entrance of the gate. The woman wasn’t moving and they were just standing there as if they were watching us. But anyways, it was our first time going through riverside cemetery from the front entrance and we didn’t exactly know where we were going. One of my friends starting filming right when we entered the grave and it took us 21 minutes to find the grave. However, the second my friend shined his phone on the grave, his recording crashed. I don’t know it that’s coincidence or what but after 21 minutes of filming there’s a 1 in 1,260 chance that his phone would die at that second. But anyways, he started filming again and we noticed the gravestone wasn’t bleeding. 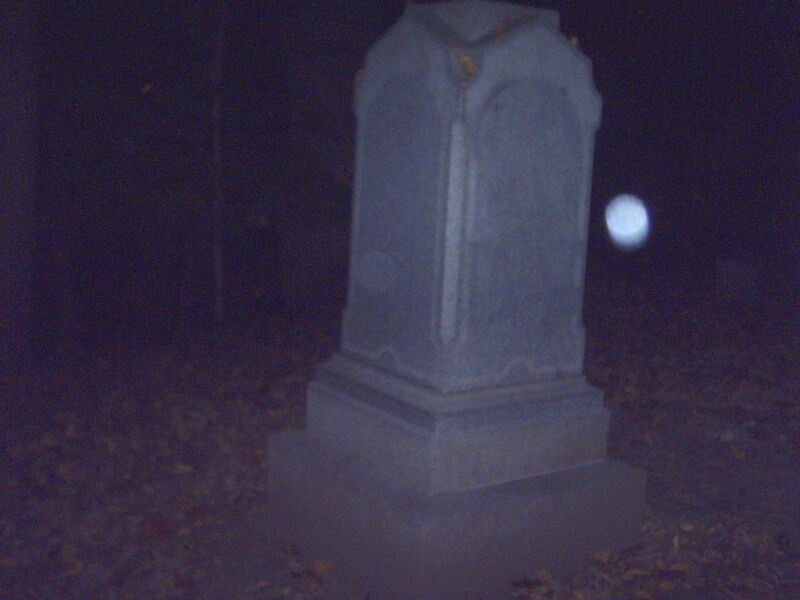 But we also noticed that the full moon was shining directly on the grave which appeared pretty creepy. Right when we got there I remembered people saying the gravestone tends to be warmer than all the others. My friend and I tested this and it was true. Her three kids graves in front of her were freezing but her grave was extremely warm. Im not sure if all the things that happened prove that it’s haunted or what but, after not believing in Kate blood’s grave being haunted at all I’m starting to think that maybe it might be. I have been here twice and experienced something. I don’t really want to go into details but it did freak me out. This place really is no joke and I’m an investigator with Brown County Paranormal. We were able to get numerous E.V.P.’s from here. 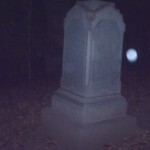 I’m actually working on a investigation video from here and on our Facebook page we have a E.V.P. video from the investigation. This is the only place I ran out of. I would love to know more about your experience! Because, my boyfriend and I which are interested in the paranormal, went there just this past Valentine’s Day. We arrived at about 11:45PM. It had a different feeling about it than any other place we’ve ever visited. As soon as we drove into the gates I felt strange. I said in the car while my boyfriend walked around and investigated a little bit. In my car, I wasn’t even safe. I was talking on the phone with my daughter, when I heard a bunch of bags that I had in the back from grocery shopping start shaking and moving in the trunk of my car. (Trunk closed.) It was weird! So I immediately got off the phone, and got out of the car and began recording. I caught a picture (FULL APPARITION of a little boy, in overall, holding what appears to be a latern.) It’s too cool! We experienced a lot of things there. We had changes within our behavior, and begin to have attitudes with one another. We felt physically ill. my left ear would not stop ringing through the entire investigation. We felt extreme anxiety and like someone was watching us the entire time. Disembodied Voices, terrible God-awful feelings, such a mixture of a large paranormal tornado. *NOT IN A GOOD WAY NECESSARILY! * I Caution EVERYONE about going to Riverside Cemetery, in Marianna, FL. This place is NO JOKE!!! The Riverside Cemetery this post is about is in Appleton, WI. Gone here multiple times at night throughout the summers. Going of the grave stone itself, it would seem she died before her husband so I’m not to sure how she “killed” him then. My whole life I’ve been hypersensitive to the more supernatural things. With that in mind, besides all the normal “static” you’ll feel and read in a cemetery, I have never had a single strange thing occur at her grave whether full moon or not. Honestly, I think it’s just a bunch of people getting way to worked up all because the word Blood is in her name.